Facebook will have to stay strong to withstand the tornado is coming after the Cambridge Analitycs scandal that deals with the protection of user data and the collection by that entity of 50 million profiles to affect the elections of the United States. In addition to the Department of Homeland Security and the FBI, there is the United States’ Federal Trade Commission (FTC) is after the multi-billion dollar company to investigate private data protection, and the implications and effects of such practices on users, said FTC’s spokesperson. This is an unprecedented fact for such an agency since it never informs the press about the files it opens. Tom Pahl, acting director of the organization's Office of Consumer Protection, said in a statement that FTC will use all the necessary available tools to continue protecting American consumers. While the investigation is in progress, there will be several questions that Facebook will have to answer regarding the economic repercussions for the company. So far, FTC’s announcement has caused the company’s fall in the stock market, which in the last closing had lost 3 percent to $ 154.60, increasing its losses up to 18 percent since the Cambridge Analytics incident. Besides the financial crisis that may be coming to Facebook, there will also be the legal implications and an exodus of its managers who will avoid at all costs be involved in the coming, but almost certainly, collapse of the most popular social network in history. In addition to Alex Stamos, former director of security, there is the resignation of Chamath Palihapitiya, who became vice president responsible Facebook’s users’ growth. During a conference last year he admitted his guilt for having been part of a company that tore apart the social fabric and exhorted everyone to leave for a while. Perhaps his message was not clear enough but after the Cambridge Analytics’ scandal, we already know what Chamath Palihapitiya was referring to. On the other hand, Tom Pahl has already warned that he will not rest until the whole matter is clarified. According to the acting Director, his office has taken seriously the press publications about data protection and Facebook’s irresponsible practices. FTC has the power to act and open investigation files against those who violate the rights of consumers and conduct business practices detrimental to them. According to the FTC, all those companies that have signed work agreements with them must respect the terms of the agreements, especially with their stipulations regarding the security of privacy and data. 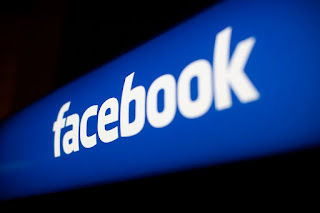 Since 2011 Facebook had an agreement with the FTC in which the rumors were buried that the users' private data were shared. After the recent scandal, Facebook apparently never fulfilled its part. Around 50 million user profiles were exposed or were sold to Cambridge Analytics for commercial purposes, which aggravates the matter of data protection and Zuckerberg’s company non-compliance. Not even the repeated apologies of Mark Zuckerberg have been able to neither appease the fury of the media that these days are making headlines with his company nor calm the annoyance of the users and the federal regulatory agencies. Facebook CEO will have to use a better strategy to be able to evade the avalanche that is approaching him and that will unquestionably not leave much after it.